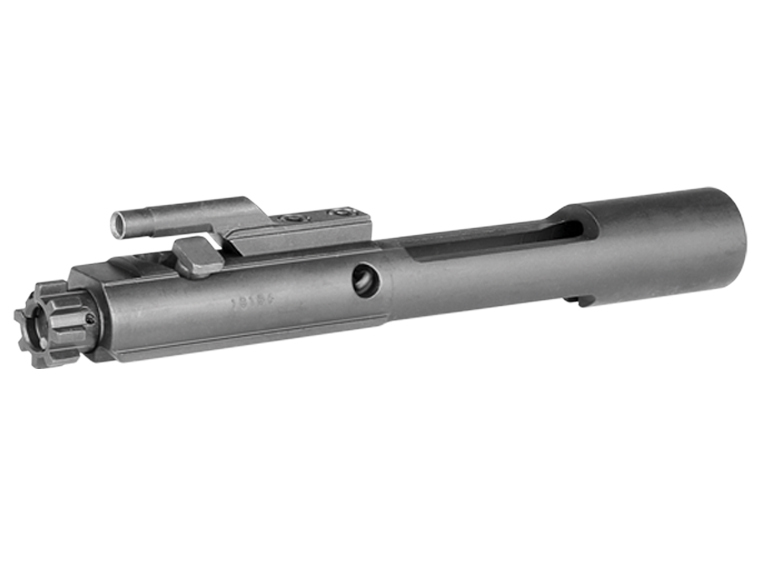 Complete bolt carrier assembly with 5.56mm bolt, bolt carrier, and firing pin ready to drop into any Mil-Spec rifle or carbine upper. Each bolt is batch high pressure tested and magnetic particle inspection tested to ensure it's free from imperfections that can lead to premature failures. Properly staked gas key prevents gas leakage that can lead to short stroking. M16-style carrier with the black Nitrided finish has full-length shroud for tripping auto sear. Carrier and gas key are coated for smooth cycling and resistance to wear from hot combustion gases for years of dependable service.